Corpus Christi Garage Door Repair is a family owned business that is happy to provide garage door services, repairs and installations to all our neighbors in both residential and commercial communities around Corpus Christi, TX. Our aim is to set ourselves apart by developing long-lasting relationships with our customers who want to work with a personable “go-to” provider for everything that is related to garage doors. We offer residential and commercial repairs and installations, garage door opener repairs and installations, and hurricane-resistant garage doors. We have been in the garage door industry for a long time, and we have seen just about every garage door you can possibly imagine. It is these many years of experience combined with our superior customer service that makes our company the best value for your money. We really go the extra mile to be fair and do everything we can to make sure our customers are happy. After all, that is how we have been successful for so many years- by providing a great garage door repair service at an excellent price. With our many years of experience in garage door repair, we can repair anything on your garage door or garage door opener, while also giving you the best quality and saving you money at the same time. If your garage door won’t open or close, or if the garage door seems to struggle to open we are the experts to call. 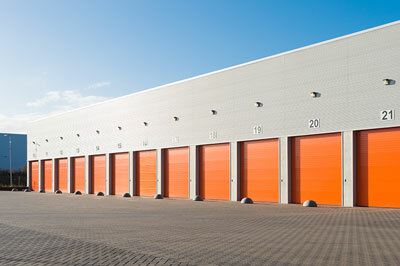 Additionally, if your home or commercial property is in need of an upgrade, our staff can walk you through our line-up of high quality overhead doors for new installation. We carry the largest selection of high-quality steel, aluminum, glass, and custom wood doors to match and enhance every home's curb appeal. We know that buying a new garage door is a big decision. Things to consider would be cost, color, insulated or non- insulated, lifetime springs, and design, just to name a few. Our staff is well versed in all makes, models and types of garage doors the industry has to offer, we can answer all your questions you may have about the garage door installation process. We also understand that unexpected garage door malfunctions are inconvenient at best. That is why our experienced staff and technicians consistently deliver prompt, stress-free solutions needed to get your lives back on schedule. 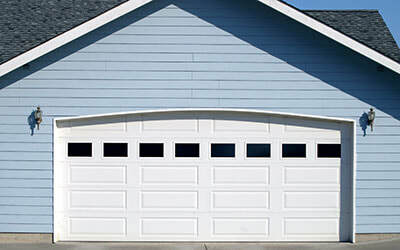 There are many different reasons why your garage door won’t lift or close. With hundreds of moving parts and some garage doors weighing in at over 400 pounds, garage doors can be a dangerous product to navigate. In the many years of our garage door service, we’ve gone through many iterations of garage door technology. What does this mean to you? This means that we have seen it all. No matter how badly damaged your garage door is, we have the experience that has made us Corpus Christi’s go to company for garage door repair. Our highly trained and certified garage door technicians will have your garage door fixed in no time—we guarantee it! So, whether you are in the market for a new garage door that will provide you and your family with years of safe, secure, and beautiful service, or need a quick, affordable repair, our professionals at Corpus Christi Garage Door Repair can satisfy any and all expectations.